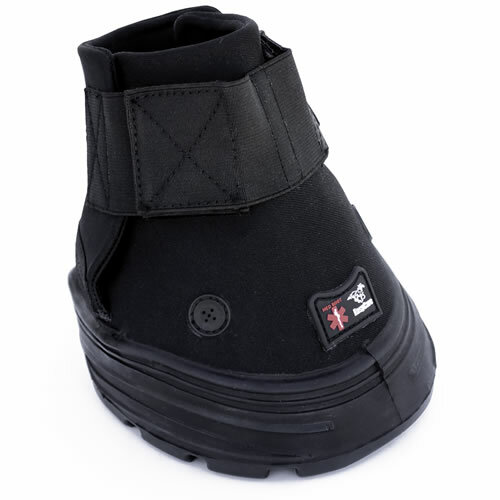 The very best of the two bestselling Easycare boots combined! 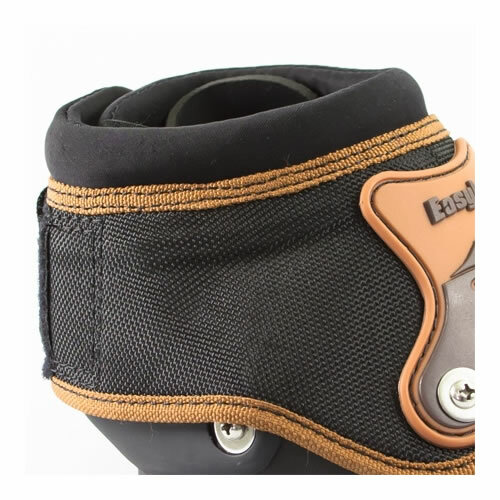 The Easyboot Glove Back Country is the ground breaking new boot that takes the very best from the top selling hoof boots; Easyboot Trail and Easyboot Glove to make a ‘super hoof boot’ in the form of the Easyboot Back Country. 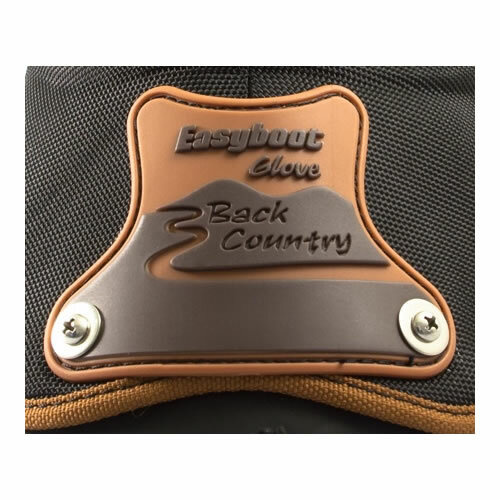 The Easyboot Back Country is made in 3 parts, which can all be replaced individually if required making the Back Country hoof boot great value too as you never need replace the whole boot! 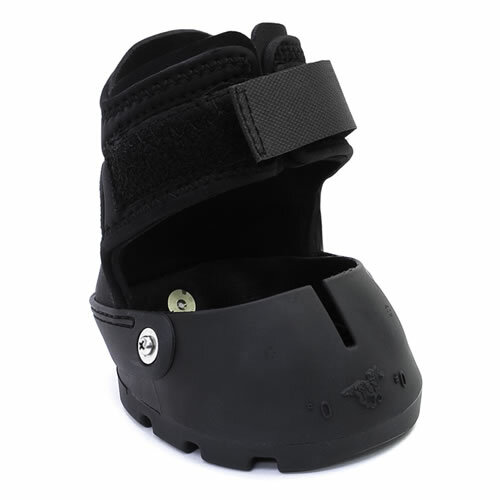 The foot part is a Glove shell which gives the form fitting, quick breakover and superb traction of the ever popular Easyboot Glove hoof boot. 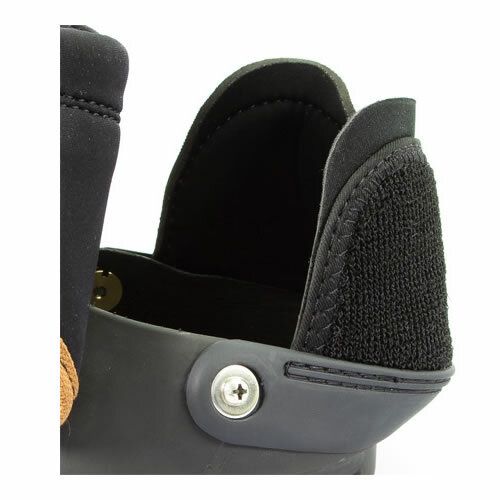 The upper consists of two pieces, the neoprene heel cup which is very soft and protects the heels area and back of the pastern from any rubbing and the front cordura covered neoprene portion that wraps around the top of the hoof to hold the boot securely in place. 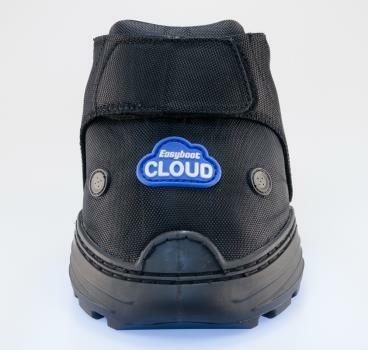 The end result is a very sleek boot with all the competitive advantages of the form fitting glove, but the security of the Easyboot Trail. Barefoot horses trimmed regularly (every 2-4 weeks or self-wear) – if you are already using the Easyboot gloves with a power strap in place, you should find the same size Easyboot Back Country will fit. 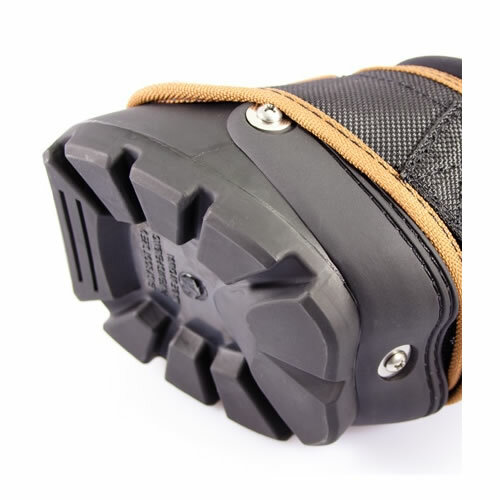 If you use Easyboot gloves without a powerstrap and find them a very tight fit, you may find you need to go up 1/2 a size as the front of the boot is as if there is a power strap fitted. If you have never used Gloves before, we recommend ideally trying the Fit Kit to determine size, or if working from measurements alone as long as they fall within the same size they are usually true to size for the measurements (unlike gloves where you usually go down 1/2 size). The Fit Kit will however allow you to see if the shell shape is right for your horses hoof angle etc so if in doubt hire a Fit Kit first! 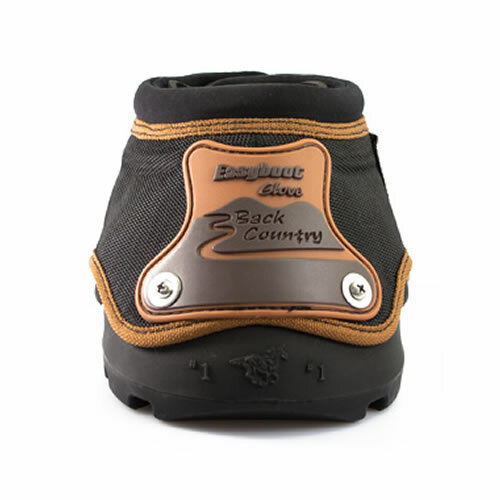 The Easyboot Glove Back Country should fit heels that are bulkier as the cordura is longer than on the Easyboot Trail/Old Mac G2 hoof boots. 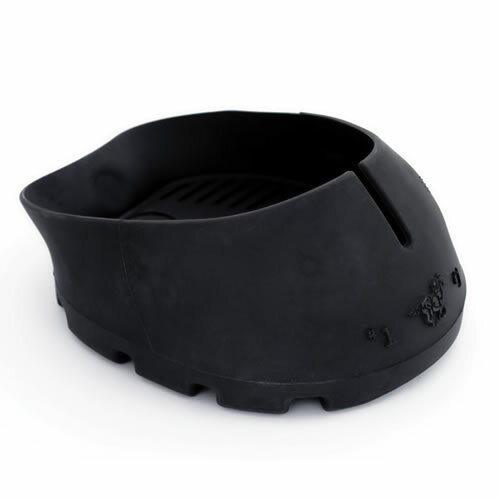 These are a very quick and easy hoof boot that can be fitted in seconds, you may be best to use a rubber mallet if you find them tight to tap them on at the toe – this is still far less concussion that a farrier nailing a shoe on or a horse taking a step at speed on a hard surface so don’t worry! Unfold cordura upper and fasten at the back, making sure the double side of the velcro is the first side to be folded across. As with all boots containing screws, please ensure you check the tightness before first use and periodically thereafter.